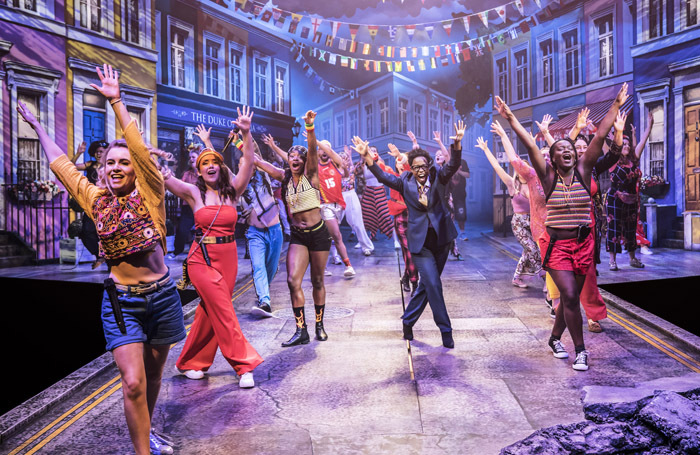 Here we go, here we go, here we go: Kwame Kwei-Armah’s hotly anticipated first season as artistic director of the Young Vic opens with a fanfare and a radically reworked, music-infused version of Shakespeare’s Twelfth Night. The show, created by Kwame, New York Public Theater boss Oskar Eustis, and American composer Shaina Taub, actually premiered in Central Park two years ago, then ran again there earlier this year. It’s been refashioned for a British audience for its transatlantic trip – Orsino’s Illyria is now, in fact, Notting Hill. And it’s carnival time. 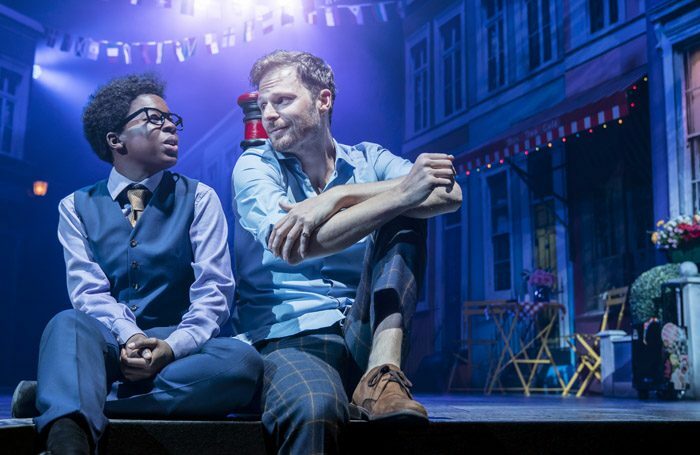 The professional cast – which includes Gerard Carey, Gabrielle Brooks and Rupert Young – are joined on stage by a community chorus of 60 people, drawn from the local areas of Lambeth and Southwark. But does Kwame kick off his tenure with a terrific Twelfth Night? Or does his reign get off to a rocky start? What do the critics make of his first outing as artistic director? Kwame, Eustis and Taub have drastically diced up Shakespeare’s script, stuffed it full of songs, and cut it down to just 90 minutes. Do the reviewers reckon it’s a reasonable revamp? Well, some do, some don’t, and most are having too much fun to care. “After the cakes and ale, I wait impatiently for the more substantial fare to come,” he concludes, while Dominic Cavendish (Telegraph, ★★★) observes how “the emphasis has swung from ‘the rain it raineth every day’ melancholy to overly sun-kissed comedy” and Matt Wolf (The Arts Desk, ★★★) reckons the show is “a bit clap-happy for its own good”. Shakespeare’s soul-stirring sadness is out the window then, but unlike Billington, most critics don’t miss it too much. “It’s not very Shakespearean, or very subtle. But it is undoubtedly fun,” writes Sarah Crompton (WhatsOnStage, ★★★★) while Ian Shuttleworth (Financial Times, ★★★★) cheers over “an all-singing, all-dancing, all-capering non-stop fun-fest”. Shakespeare’s mix of melancholy and comedy has been swept away in a tide of good cheer, and most critics don’t really mind. But what do they think of Taub’s tunes and Robert Jones’ design? “It’s a fancy dress party, basically,” Treneman decides, and everyone agrees. It’s “marvellous” and “witty and practical” according to Crompton, and “dazzlingly colourful” according to Lukowski. Taub’s score is a bit more divisive. Some critics love them: the songs are “exuberant numbers that run the gamut from vaudeville to ’80s-style electro ballad via stomping Motown soul and wisely avoid faux Shakespearean lyrics” according to Lukowski, and they’re “multi-purpose and often thrilling” according to Wolf. There’s also admiration for Taub’s ability to make sense of the plot through her tunes. They do “the bulk of the narrative legwork”, according to Tripney, and according to Crompton, Taub is “good at finding the themes of the play and decking them out in song and dance numbers”. A good party needs partygoers. Alongside a mammoth community ensemble, Kwame’s cast includes Gerard Carey as Malvolio and Gabrielle Brooks as Viola. Carey is the star of the show. His “hilariously played” Malvolio is “a smug git who whizzes about the streets on an electrified scooter” according to Billington. “Part-Basil Fawlty, part-King George from Hamilton, part-panto villain, his moustachioed snob is an absolute hoot, powered by camp music hall style numbers, a hoverboard, and an outrageous one piece Lycra jogging outfit,” piles in Lukowski. And what about that enormous ensemble of amateur actors? 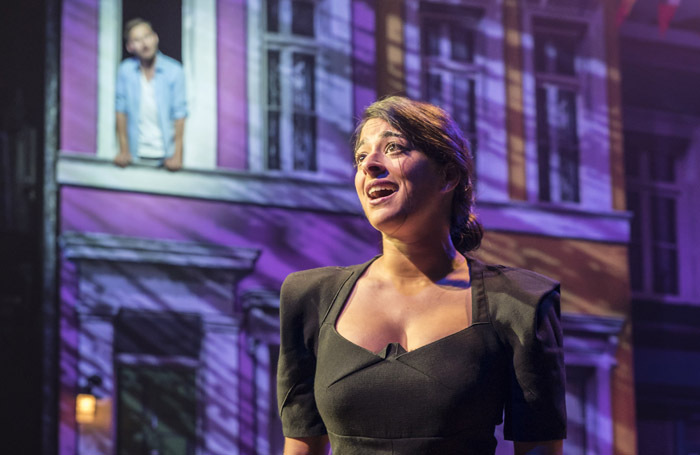 Their inclusion is “a great, generous-spirited gesture of inclusive theatre” according to John Nathan (Metro, ★★★), and they’re not half bad either, according to the critics. “The community chorus is excellent at magnifying the impact of the songs, a rush of choreographic cheer and vocal firepower,” writes Lukowski, while Billington admires them for their ability to “execute Lizzi Gee’s choreography with absolute precision”. “They include, in a welcome touch, a handful of seniors and are ultimately indistinguishable from the professionals,” he smiles, while Mark Shenton (London Theatre, ★★★★) remarks how “it’s great to put the community that has always been at the centre of the Young Vic’s ethos as a theatre at the centre of its stage”. If you like your Shakespeare straightforward and spoken as it always has been, then Kwame Kwei-Armah’s season opener might not be for you. But if you’re in the mood for an exuberant, inclusive party – with a hint of Shakespeare lurking somewhere underneath – then this radical reworking might be right up your street. 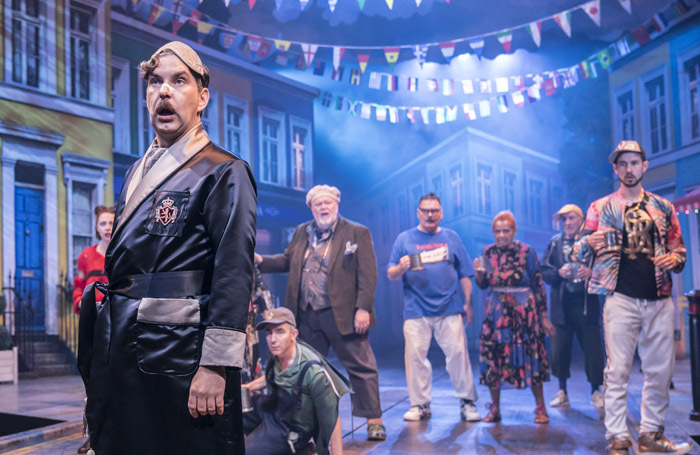 There’s a few grumbles about the traditional tone of Twelfth Night being lost amid the mayhem, but most critics can’t help but enjoy themselves. There’s bundles of four-star ratings, bundles of good will for this show, and bundles of eager anticipation for the forthcoming fare of Kwame’s first season.